The names of Governor Adebayo Alao-Akala of Oyo State and his counterpart in Enugu State, Mr. Sullivan Chime were today erased from the lists of candidates eligible to contest in the April general election by the Independent National Electoral Commission (INEC). 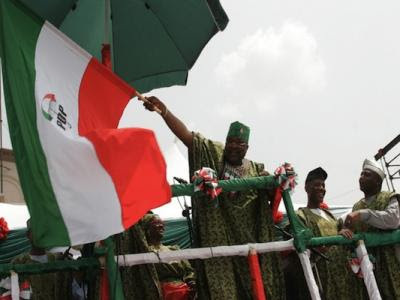 The move came as a huge surprise to the two governors elected on the platform of the Peoples Democratic Party (PDP) and political pundits as both Alao-Akala and Chime were earlier listed to contest the governorship election in the lists made public by the electoral commission on Monday. INEC said it removed the governors as candidates following court injunctions which as a law abiding institution it is bound to obey. Chime of Enugu and Elechi of Ebonyi are the best South East governors. Why not Ohakill and T. Orji? That’s because they are rascals like the rest of the PDP. Chime can walk into another party & he’ll win in a free and fair election in Enugu state. Alao “bleacher and bling” Akala is a disgrace of a governor and deserves to be sacked now!